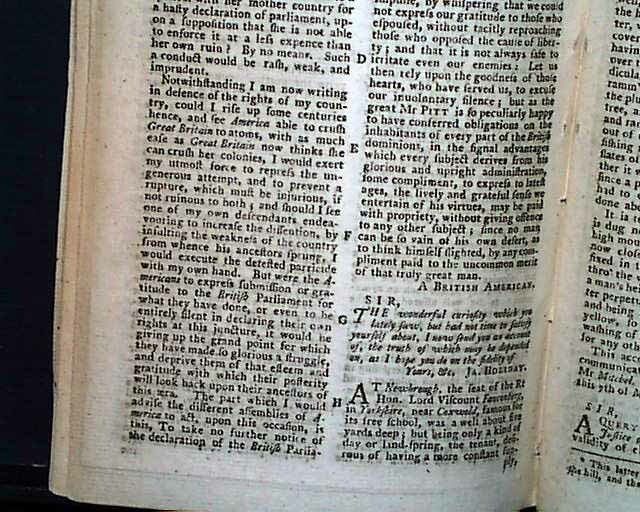 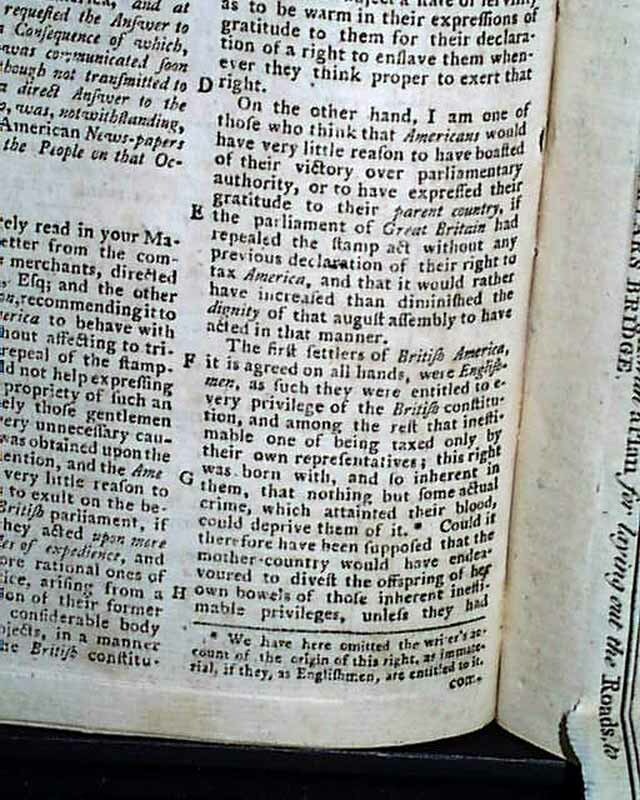 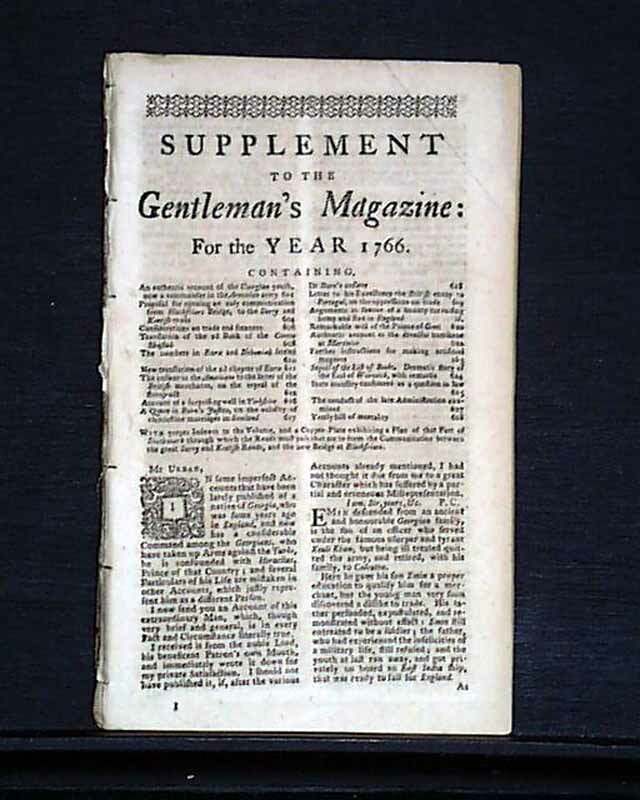 SUPPLEMENT TO THE GENTLEMAN'S MAGAZINE, London, 1766 As the title suggests this was the "supplemental" issue printed at the end of the year, less pages than the monthly issues. 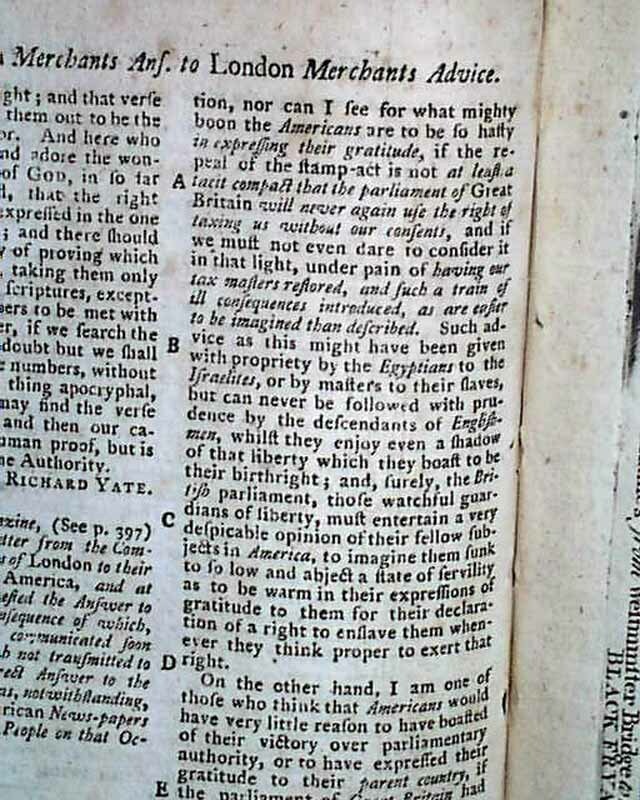 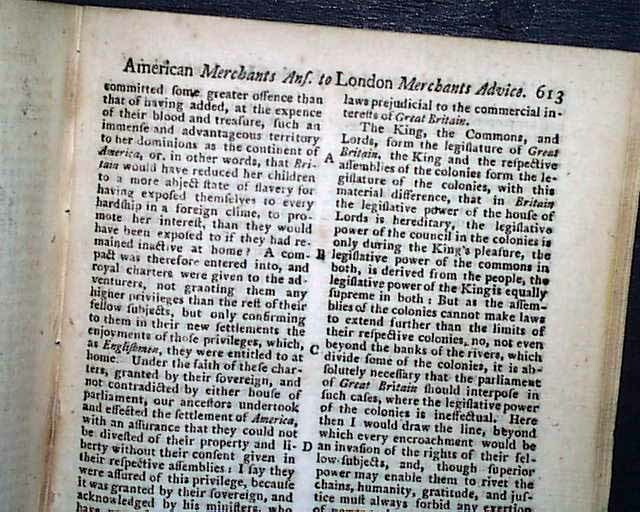 The feature is a quite lengthy letter: "...from the Committee of Merchants of London to Their Correspondents in America..." which concerns the repeal of the hated Stamp Act. 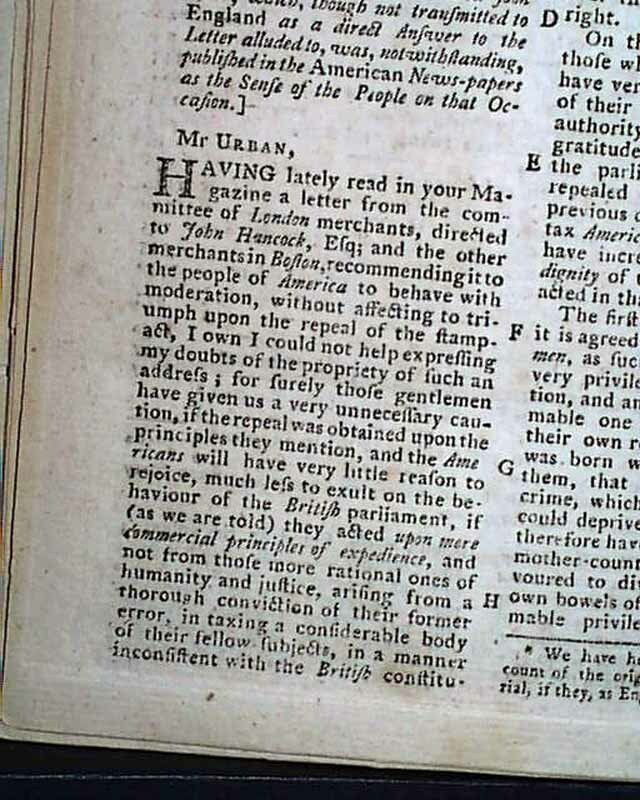 It begins: "Having lately read in your magazine a letter from the committee of London merchants, directed to John Hancock, Esq. 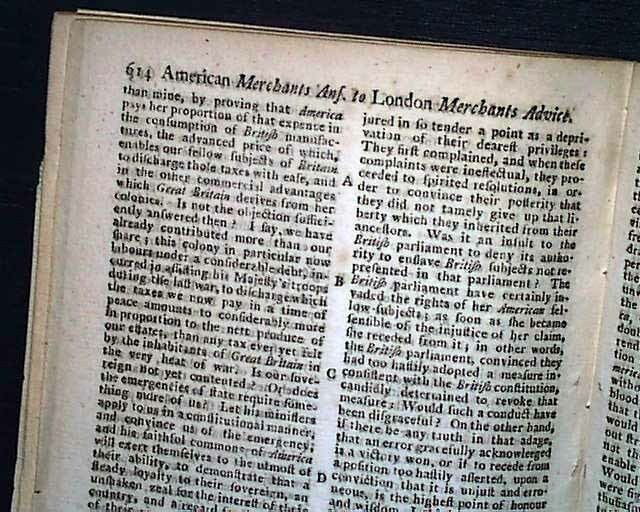 & the other merchants in Boston, recommending it to the people of America to behave with moderation without affecting to triumph upon the repeal of the stamp act..." with much more, this detailed letter taking nearly 5 pages. 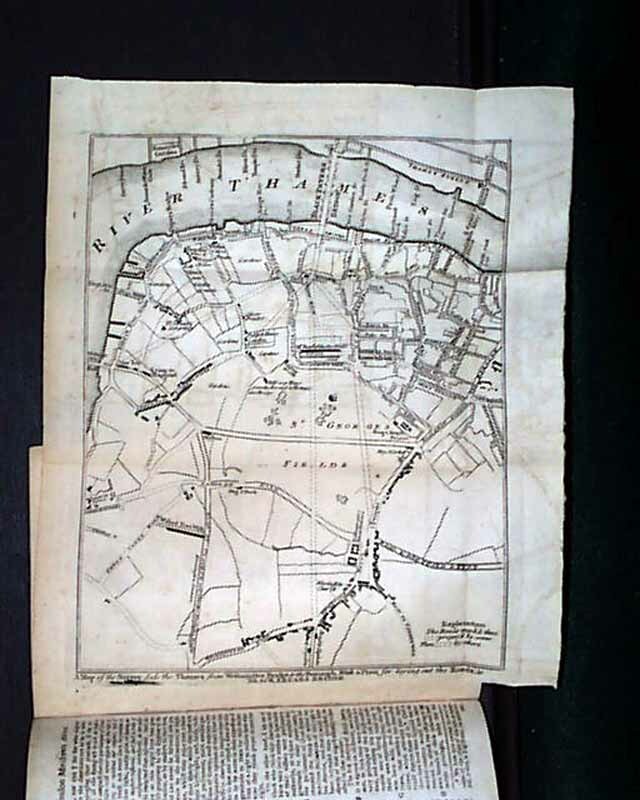 Included is the nice foldout plate: "Map of the Surrey side of the Thames from Westminster Bridge to the Borough...". 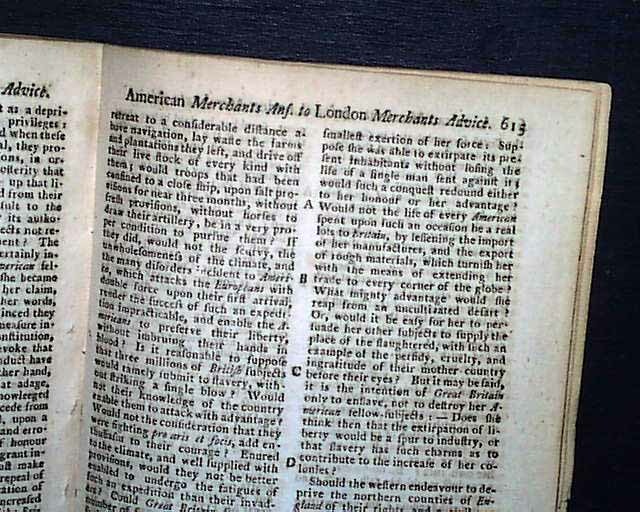 Complete in 28 pages with the typical half title/contents page, 5 by 8 1/4 inches, very nice, clean condition.